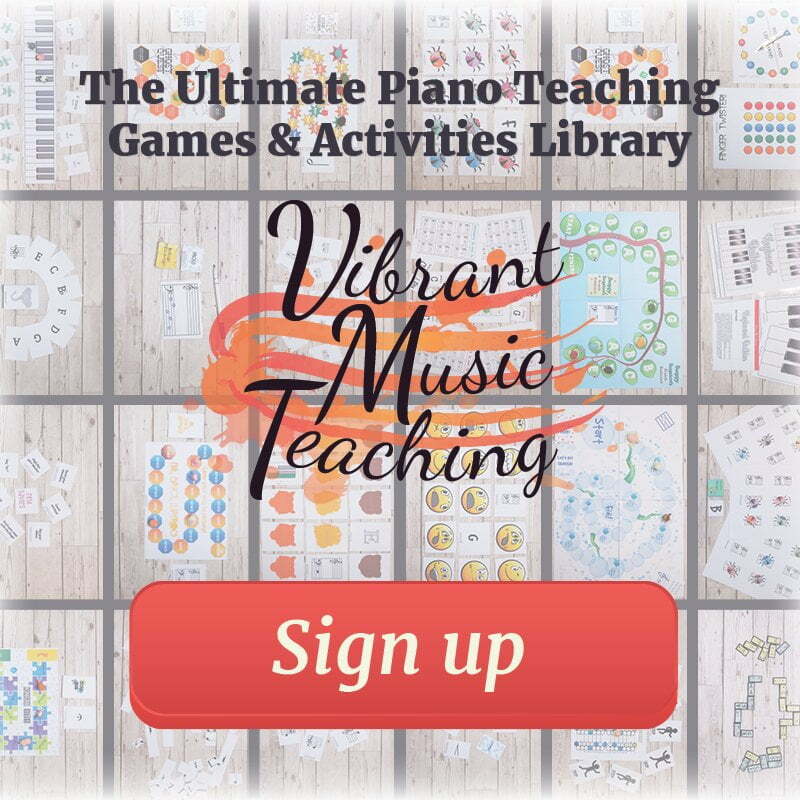 Are you in need of a new rhythm game for your music students? 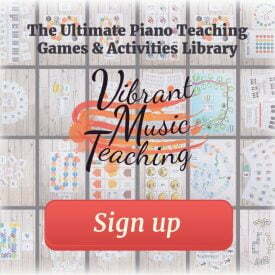 Unjumble is a fantastic rhythm activity that you can do in just a few minutes of lesson time. The following is an excerpt from my book, Rhythm in 5, which you can find on Amazon here. 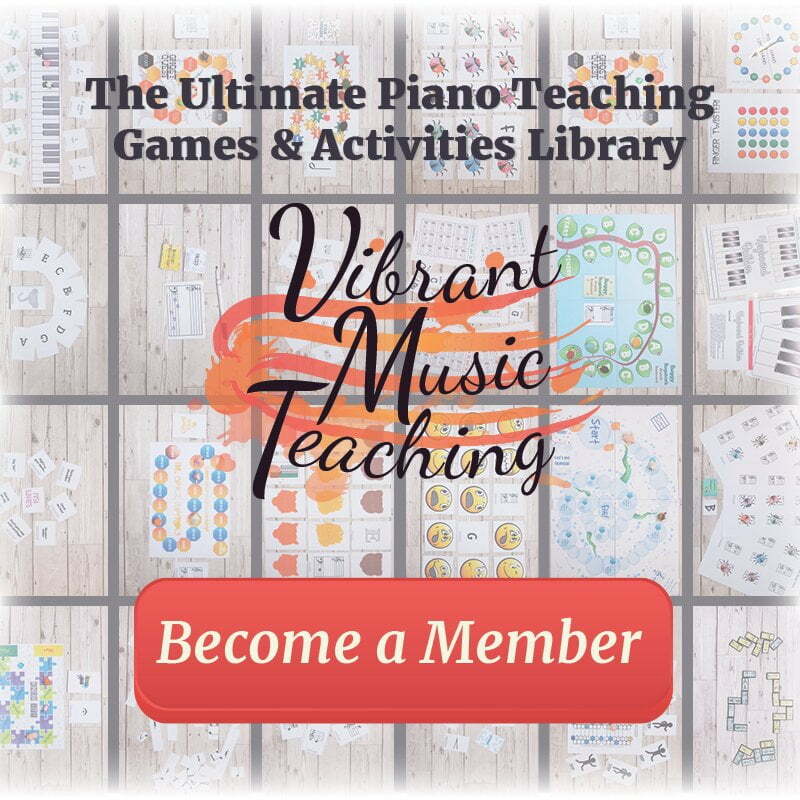 Vibrant Music Teaching members can access the video course and print-at-home version of the book here. The game above uses my Rhythm Vocab cards. Download your set by subscribing to receive emails from me here. Unjumble is an easy step towards rhythm transcription. 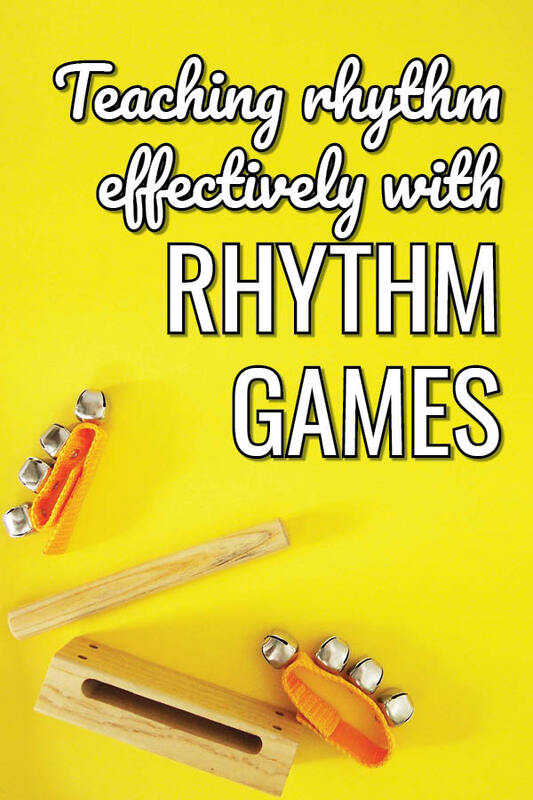 By limiting the options of available rhythms in this game, we make it more likely that our students will be successful. 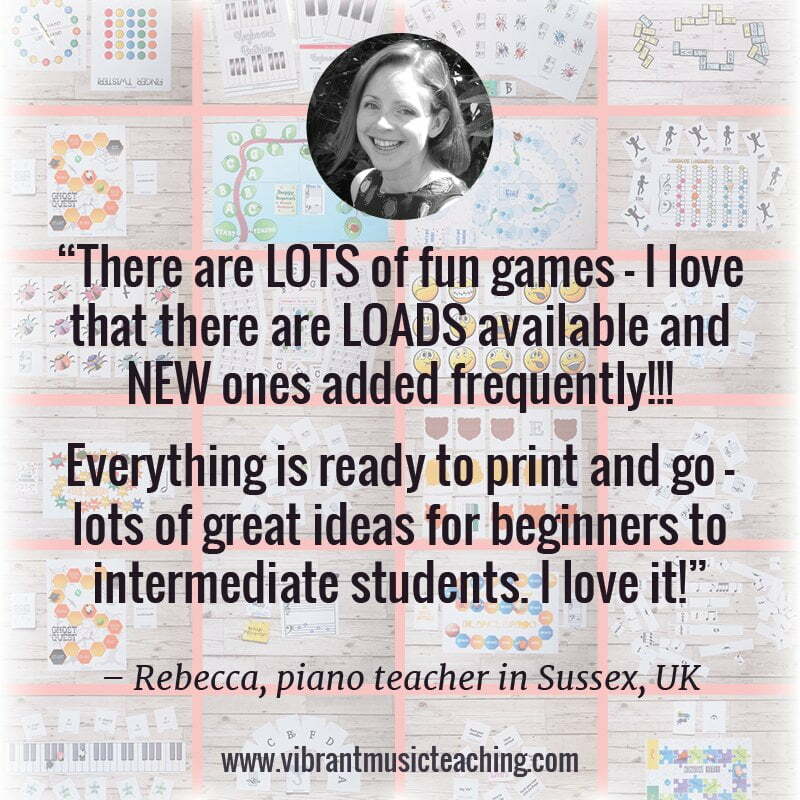 But they still need to concentrate to remember the rhythm pattern and recreate it with the cards. Place the cards in a 2×2 grid. Choose a secret order for the cards and clap it for your student. It’s your student’s job to then put the cards in a row in the correct order. They can ask to hear the rhythm again as many times as they like. 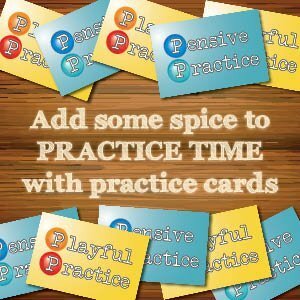 To increase the difficulty, simply increase the number of cards your student will need to “unjumble“. You can also start to specify the number of times you will clap the rhythm, for example clapping it 3 times before they can move any cards. 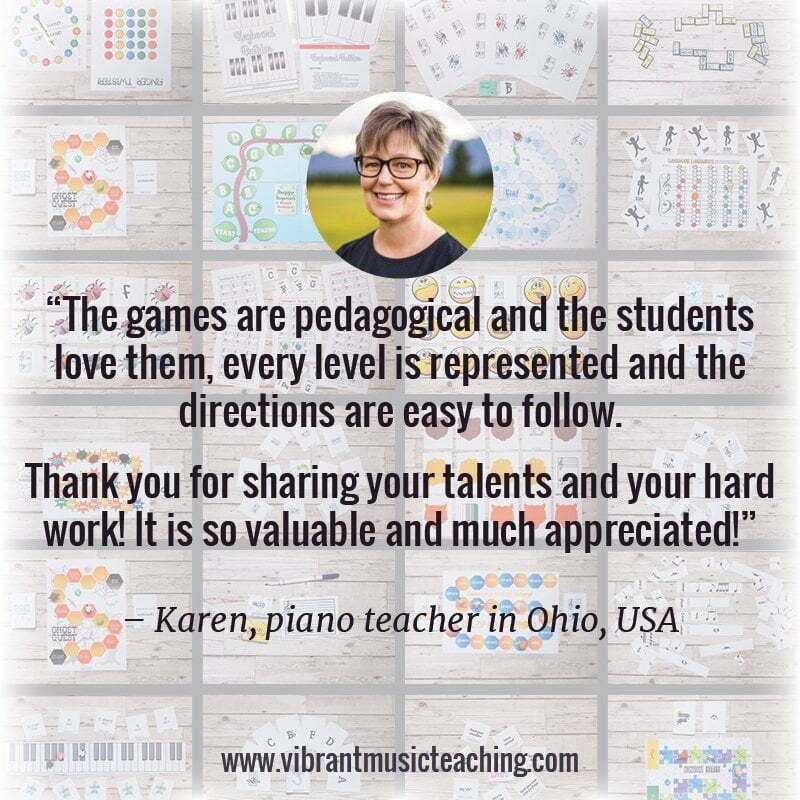 It’s good for students to translate a variety of movements and vocalisations into rhythms. 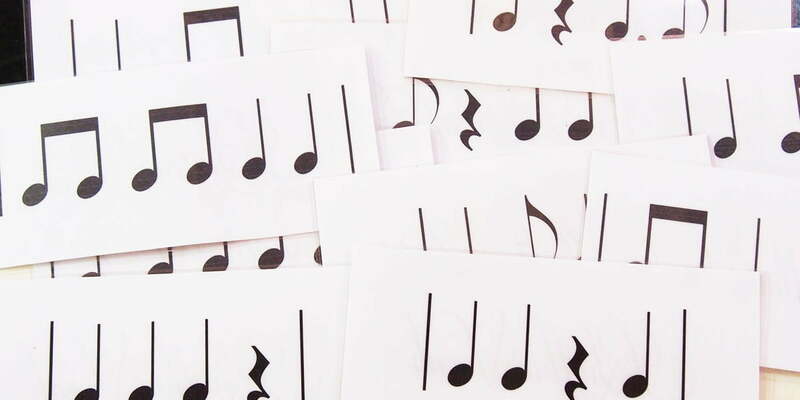 Try marching, tapping and saying the rhythm in any made-up syllables you can think of. Mix it up each time! You can also show the rhythm on any instrument instead of clapping it. 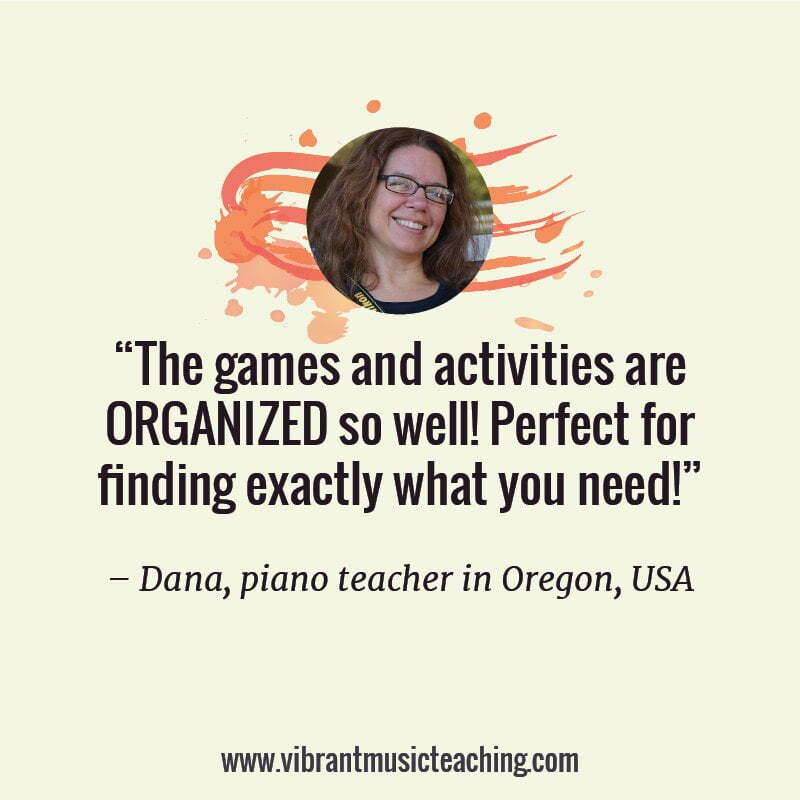 Try using a single repeated pitch at first, and then make up melodies for the pattern so that your student has to listen out for just the rhythm. If you’re a pianist, you could even put the rhythm in your left hand and play with your right hand in a different rhythm to try and “distract” your student. 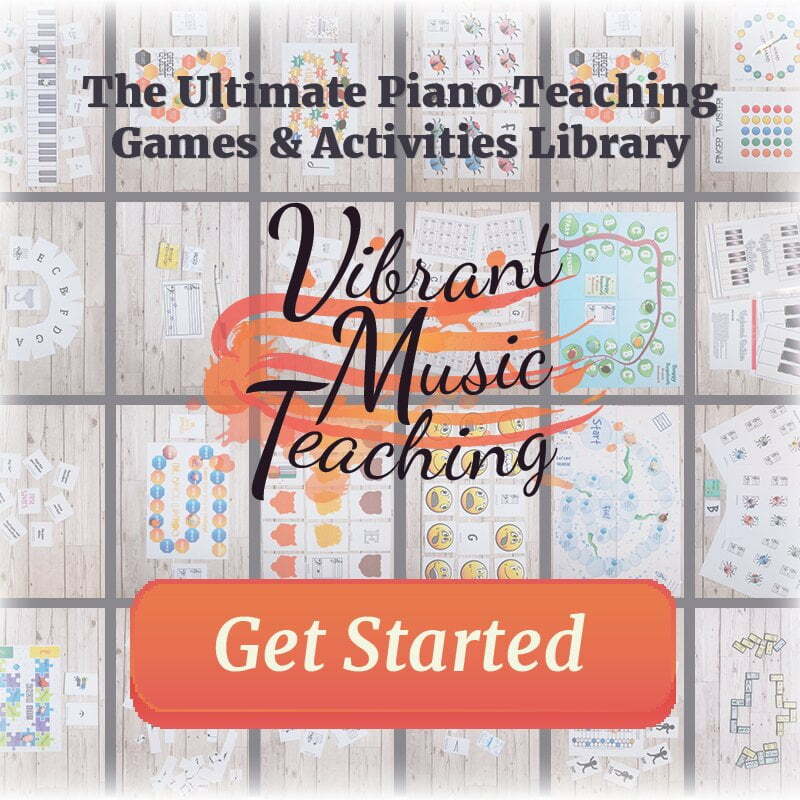 Once your student has figured out the order of the rhythm cards you can also use this as a starting point for an improvisation or composition. 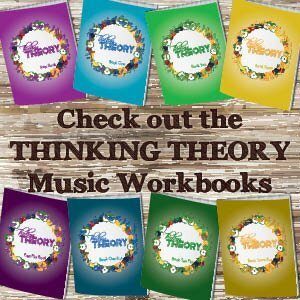 Put them up on the music stand and tell your student to start with one repeated note for the complete rhythm, and to then incorporate neighbouring notes or other familiar patterns once they’re used to the rhythm. 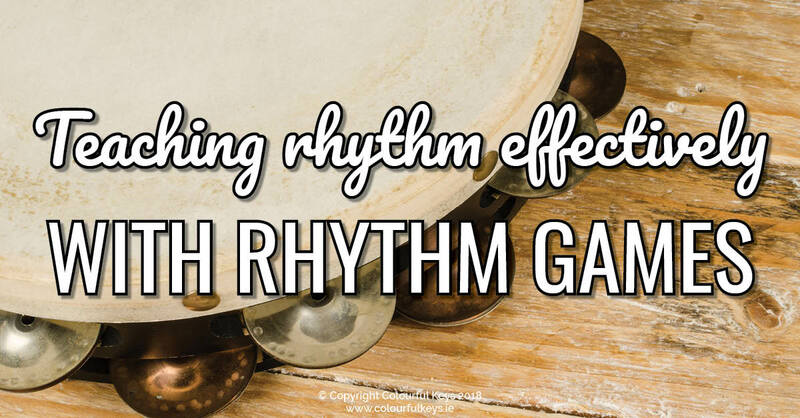 You can play a simple accompaniment to provide richness and keep the beat going. If you’re more of a video than a text person, then you can see me explain Unjumble in this video. 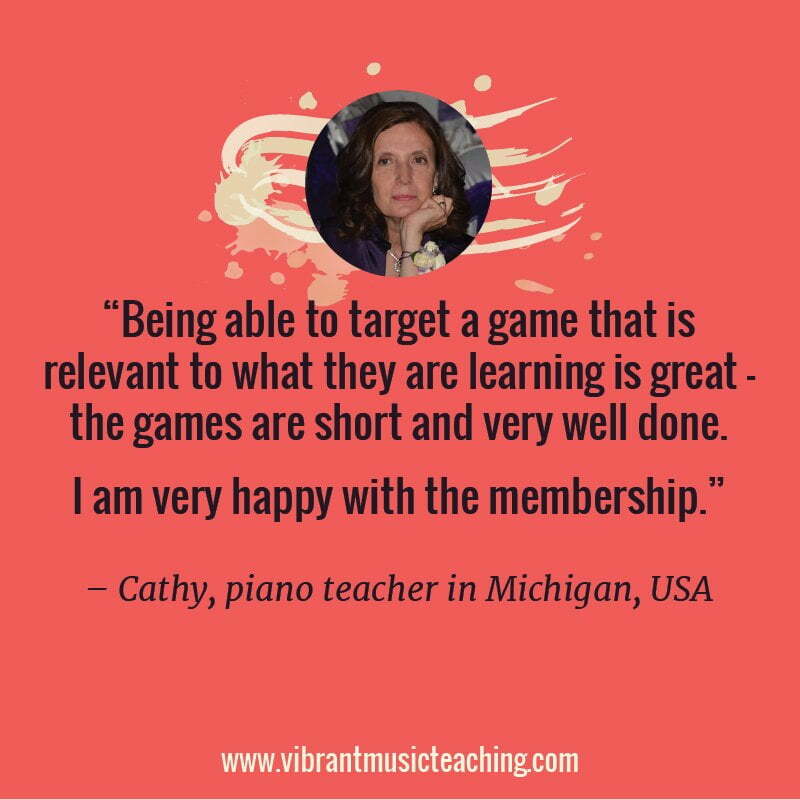 Vibrant Music Teaching members can access the video course and print-at-home version of the book here. If you’re not a member yet you can sign up here or buy the book on Amazon here. Any questions about Unjumble or Rhythm in 5? Leave them in the comments below and I’ll be happy to clarify. Ordered your book from Amazon a few days ago – it’ll be with me on Tuesday and I’m VERY excited! Yay! Thanks Elaine, hope you love it!